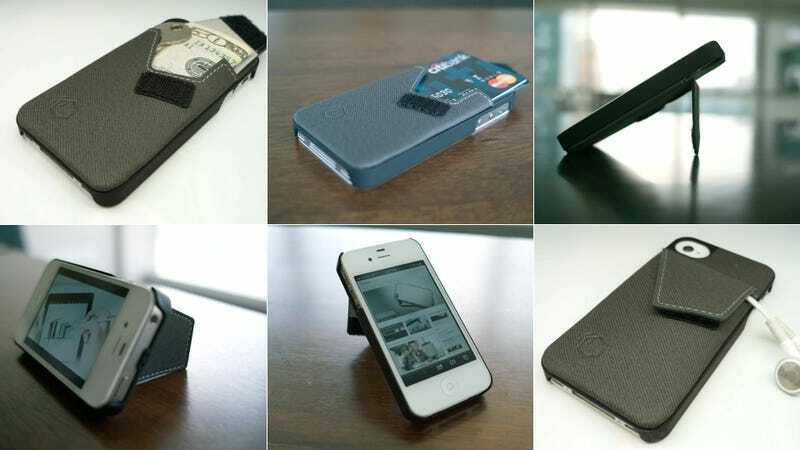 In general, we despise iPhone cases, but the Wallet Stand is so genius that we might actually buy it. As its name implies, the case is both a wallet and a stand, built into a protective case for your iPhone. It's certainly not the first multi-function case to do these things. It just actually does them intelligently, so that it's more useful than they typical gimmick. The wallet, a small pouch on the back of the case, is big enough to store a few essential items—a couple of credit cards, one of your many $50 bills, or a house key. The little pouch swings out and acts as an impromptu stand that can prop your phone up in either landscape or portrait mode. Even if you're not the type to use a case every day, Wallet Stand could help you lighten your load in certain situations. Imagine you're out on the town, trying to cram the phone into skinny jeans, and all you need is an ID and a key. Not bad for 26 bucks.